Home Gadgets How do IT Professionals Choose 4G Routers? Unless you’re well versed in the world of IT hardware, choosing a new network device can be intimidating. Of course, there are plenty of reviews and product descriptions to read – but it’s very difficult to know if you’re truly looking at impartial advice. We decided that the only way to be sure you’re not being steering down the most profitable route for a seller is to talk to a networking professional about they would suggest looking for from a hardware choice – in this case – a 4G router. What follows is a series of considerations relating to features you’ll find on most 4G routers – and some advice that’ll help direct your buying decision following each one. There’s a lot to consider if you’re looking at purchasing a 4G router – but the fundamental question relates to its use. Is this going to be a business device? Or is this to be used for leisure? The difference in 4G routers designed for leisure is significant – most won’t have the multi-SIM capacity – i.e. they’re a single SIM powered WiFi hotspot that relies on the connection from that single SIM. While this is more than adequate if you’re planning a day of working away from home – or even setting up a quick internet connection when you’re at a client site, it’s not going to be enough to power anything close to a business network. Performance and reliability are the name of the game if you’re going to be using your router for business use – and that only comes with multi-SIM ability. Now, before you start ordering – it’s worth considering what multi-SIM really means from a router. Unfortunately, the capacity to hold more than one SIM doesn’t quite meet the definition. For a router to be truly ‘multi-SIM’ – it’s got to have the ability to run with more than one active data connection at any one time. 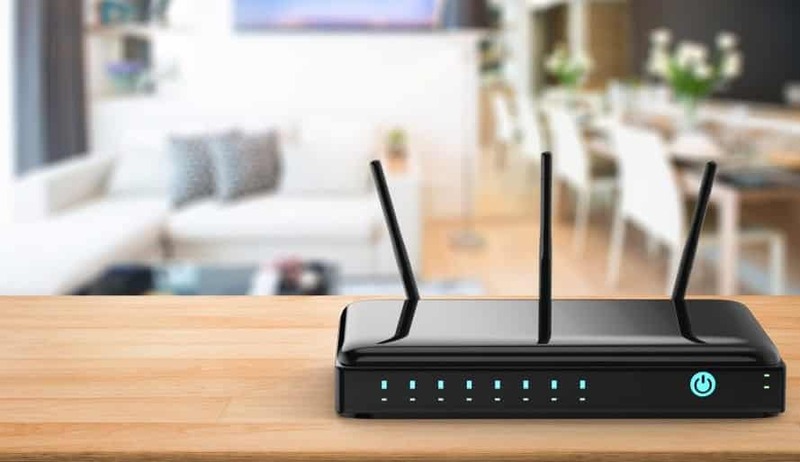 There are plenty of routers that’ll offer a SIM failover function – but you’re still limited to one connection. In essence, your second SIM in a router with this kind of connection failover is just a backup connection – dormant until it’s called into action as the first connection drops. This is useful – especially for a single user who can’t afford to be offline – but it won’t offer the kind of connection speed you’ll need as a business. A router that offers real multi-SIM ability will generally have slots for upward of 6-8 SIMs – sometimes holding as many as 18+. If you consider the speed of your 4G connection on your phone – you begin to see how multiplying this capacity offers a connection that’ll keep your business online. While it’s simple enough to talk about combining connections to make sure you’ve got a business level connection – there’s a little more to it than just placing the SIMs in the router, plugging in and powering up. You’re going to need to decide whether ‘bonding’ or ‘load balancing’ SIMs is the right path to go down – and, the best way to decide is to understand what each of those things means. If you bond your connections you’re essentially combining them into one overall connection. The result? One wireless network that every device connects to. If you decide to ‘load balance’, you’re keeping each SIM as its own connection – and allowing individual users, devices or applications to connect to their own dedicated connection. There’s no right or wrong way to handle your data connection really – just some considerations for each method. When bonding, you create a single, extremely robust connection. If one of your connections fails, the traffic is still being carried by a high capacity data connection. If you opt for load balancing, you’re giving single connections to each user or application – meaning their connection is never strangled by activity elsewhere. Most companies will opt to bond connections – owning to the overall stability and capacity of the method. Like most companies, there’s a chance you’ve got mission critical applications that you just cannot live without. If this is the case, you’ve got a couple of options – firstly, you could look at load balancing – with a specific connection attributed to this/these application(s). That said, load balancing still allows the connection to drop – and if it does, there’s no bonded connections to pick up the slack – you’ve got a dedicated – but perhaps unreliable channel. On the other hand, bonding your connections and finding a router than offers traffic prioritisation could offer an excellent alternative. Traffic prioritisation allows you to configure the router to ensure your most important application’s data is given a congestion-free route between the internet and your end-users. If you’ve got applications that you simply cannot afford to have down, then finding and configuring a router that offers this prioritisation service is likely to be the way to go – it could be a feature that saves you an incredible amount of money in the long run. The benefit of having multiple SIMs carrying your data is that you can use services from different providers. If there’s a problem in your area with one network, the others carry your business internet connection and you’re unlikely to see any significant problem. However, this presents a different kind of issue. When it comes to collection data, talking to a number of different providers or using different providers interfaces can be tricky – and exceptionally time-consuming – especially as very few providers offer this kind of service as standard. If you think you’re going to want to be hands on with your data, finding a device that has a built-in reporting system can be absolutely invaluable. Not only does it give you the opportunity to look at what you’re using data wise, but it also give you the ability to look forward, considering your application and data use – and tying that to your business goals and budgets.